KTM’s first middleweight twin, after decades of singles, was hugely anticipated and it’s lived up to the expectation – funky, lively and fun the 790’s lifted the whole Duke clan up to a new level. KTM’s tiddler Dukes always used to be naked singles with off-road DNA. No more. The Austrian firm’s new twin is still light and nimble but now also 105bhp fast and still with its trademark top notch components and electronics. Interested in buying a KTM Duke? As a slim, light-middleweight, slightly aggressive roadster, the 790 Duke delivers exactly what you’d expect. The ergonomics are natural and neutral and very much put you in control while the bike’s stumpy, featherweight proportions are completely unintimidating so we’ve no criticism to offer. Out on the road, though, there are limitations: that dinkiness makes the Duke more of a toy than a versatile all-rounder and there’s zero protection from the elements as well but, if you didn’t expect that, you’re looking in the wrong place. The 790 Duke is a hilarious toy among motorcycles with no real concessions to practicality. On tight backroads, around town or even on track it’s a hoot but motorways are a daunting proposition, as is anything involving distance, while pillions or luggage don’t really get a look in. To summarise: it’s brilliant in short doses (and for the short-legged) but anyone expecting any sort of length or endurance should look elsewhere. This is where the 790 Duke really begins to shine. Today most people picture a performance bike as an intimidating, 180bhp, 1000cc+ naked or sportsbike, but the 105bhp/169kg KTM changes all that. So light and punchy it too feels like it’s always trying to wheelies off the throttle, yet with the instant, nimble handling of a middleweight twin, the 790 Duke is a sprightly, lively cat among the pigeons, so much so that you can’t help but laugh out loud. Better still it has the brakes (and suspension etc) to completely keep it all under control, partly thanks to its sophisticated ‘cornering ABS’ system. 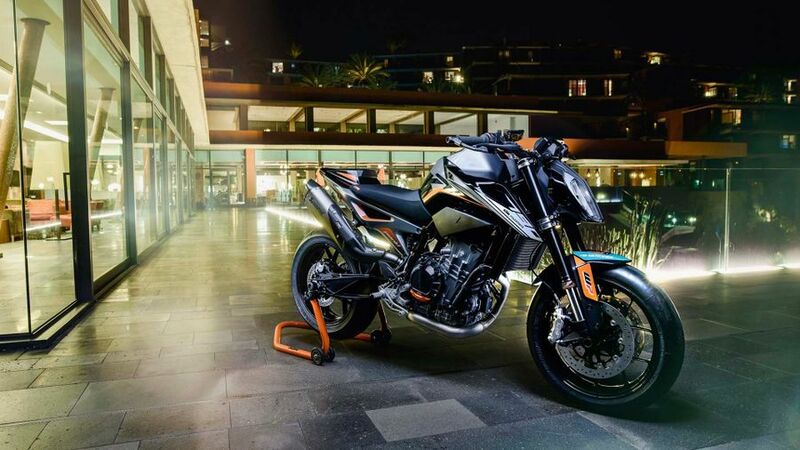 KTMs are consistently reknown for their sharp, sophisticated handling and the 790 Duke is no exception. Steering is scalpel-like and precise, the quality suspension front and rear is by WP and give a controlled yet still comfortable ride and it features electronic rider aids of the sort you’d normally only expect on a high-end sports bike, namely: traction control, up/down quick shifter and four switchable power modes (Sport, Street, Rain and Track). Our only quibble is the forks aren’t adjustable while the rear shock is preload-only but it’s so well set-up it shouldn’t matter. In truth, the 790 Duke is so new it’s difficult to be certain in this regards while another factor that creates doubt, unusually, is how it tends to be driven. 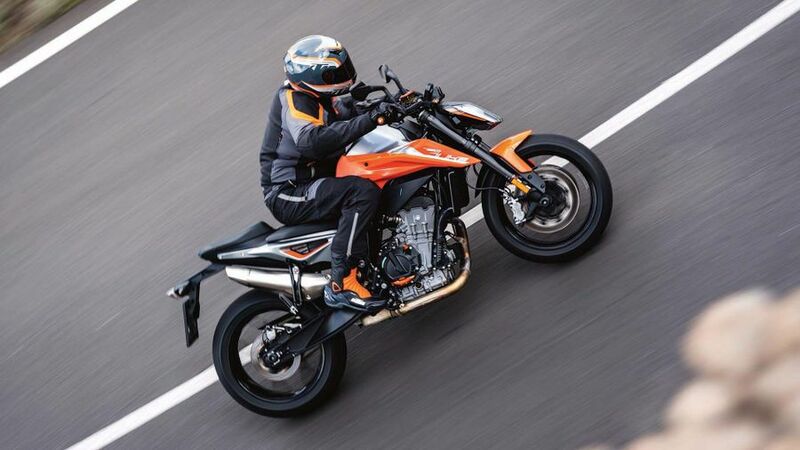 Yes, you could ride the KTM sensible and economically, in which case mpg, tyre and brake pad life etc, would be very good, considering how light and low powered it is. But nobody is likely to ride this little hooligan like that. Instead it’s all about skids and wheelies which, if you do to excess, can be expected to get the=rough consumables like any high-end superbike. As with the Running Costs category, it’s tricky to be absolutely certain here, simply because not only is the 790 Duke a new model, it’s LC8c parallel twin engine is all-new as well. On top of that, it’s fairly safe to say all owners will be riding their machines pretty hard. It’s what it was built for, after all. All that said, however, at the time of writing (10 months or so after the KTM’s introduction) that we’ve heard no reports of unreliability or any scare stories and KTM’s general record is pretty good, too. 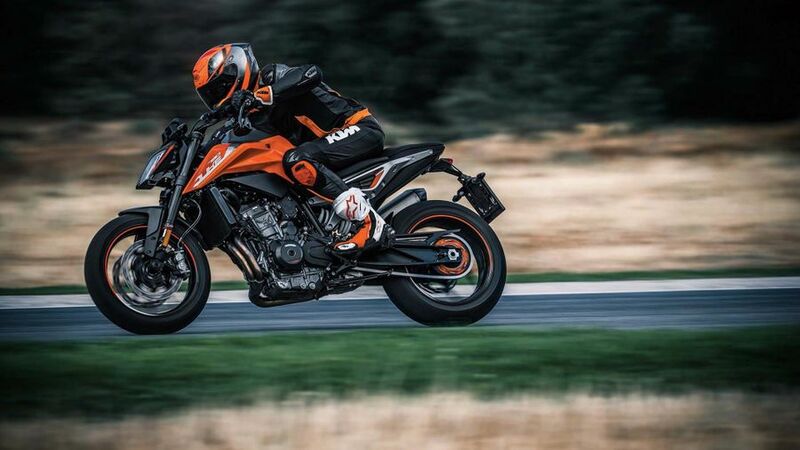 The perky little Austrian twin has KTM’s standard warranty, namely a two-year, unlimited mileage, manufacturer backed scheme covering all parts and labour. Service intervals are better than average, too, with major valve adjustment ones due only every 15,000kms. 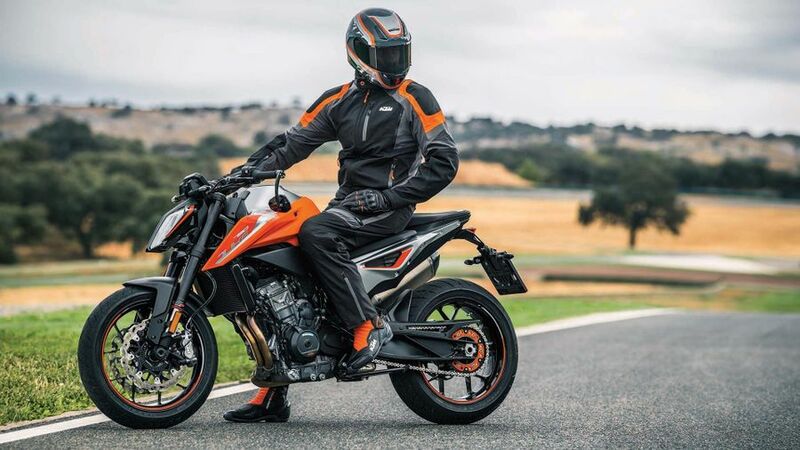 It’s a little tricky to get your head around at first, but the 790 Duke truly does redefine what we thought motorcycle performance was all about. Being a perky 105bhp, 165kg light, with lots of quality electronics and yet also being ridiculously nimble and easy to ride all adds up to a whippet of a bike that really does thrill, excite and entertain on real world roads. 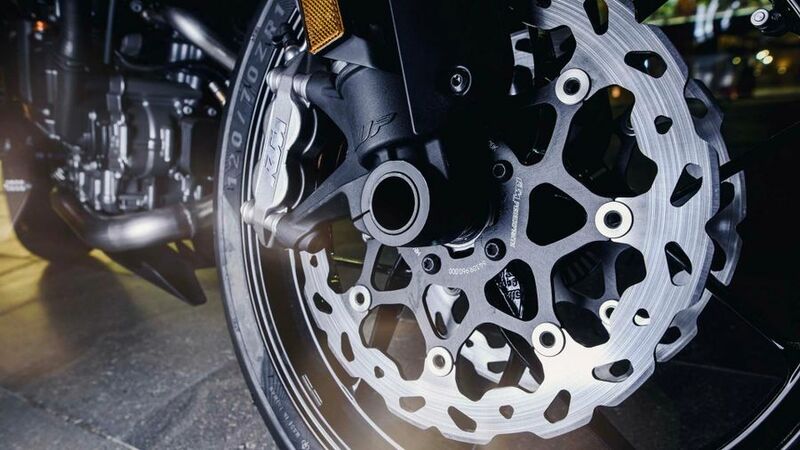 What’s more, there’s nothing else quite like it: Yamaha’s similar MT-07 is significantly less powerful and more basic, while triples like the Mt-09 and Street Triple are much heavier and more substantial. For pure, unadulterated, real world motorcycling fun, nothing else comes close even though, as a practical motorcycle, it’s not much use.